Rendering of Lincoln Park Operations Center. Timber pile installation at the Lincoln Park Operations Center. In-slab radiant tube installation at the Lincoln Park Operations Center. 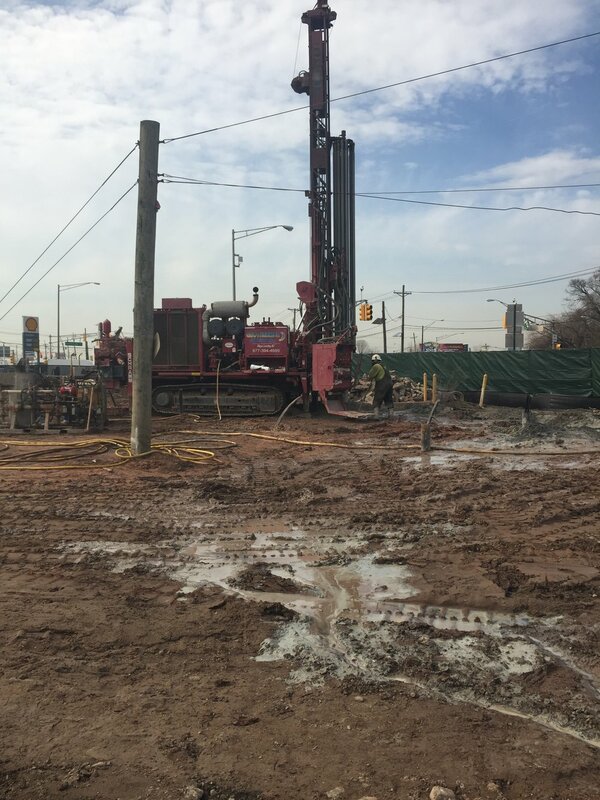 Geothermal well drilling at the Lincoln Park Operations Center. View to the rooftop beyond the greenhouse. Steel erection at the Lincoln Park Operations Center taking shape.